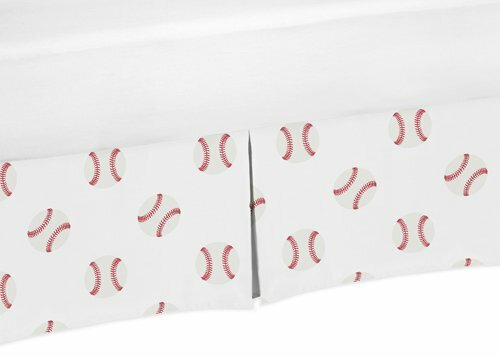 Baseball Patch Toddler Bed Skirt by Sweet Jojo Designs helps complete the look of your room. 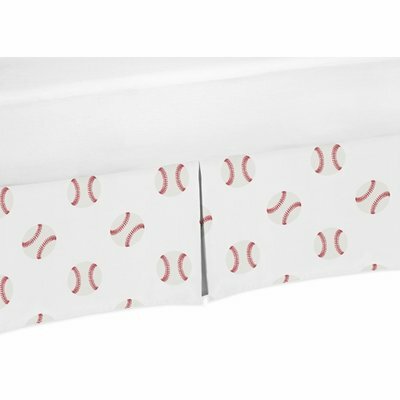 This adorable skirt, or dust ruffle, adds the finishing touch while conveniently hiding under-the-bed storage. This item fits all standard toddler beds.